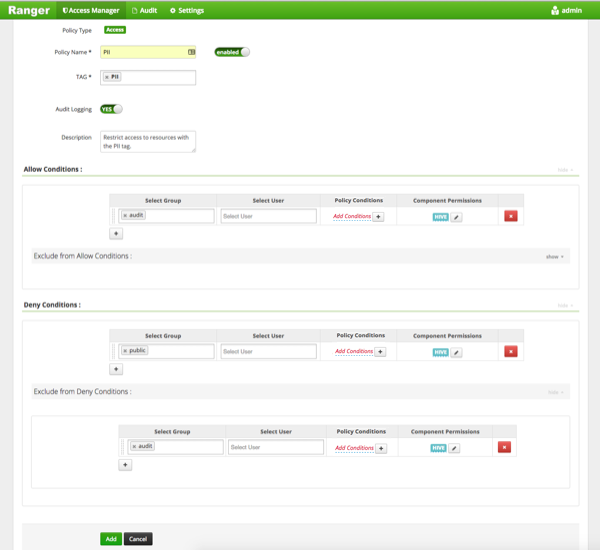 Example of how to add a PII tag-based policy. In this example we create a tag-based policy for objects tagged "PII" in Atlas. Access to objects tagged "PII" is allowed for members of the "audit" group. All other users (the "public" group) are denied access. 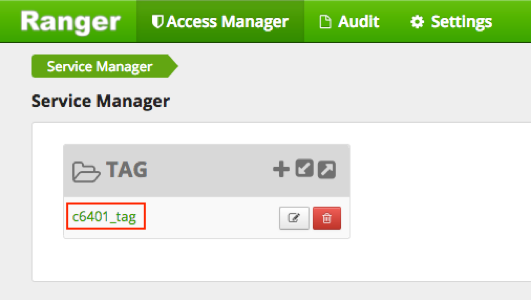 Select Access Manager > Tag Based Policies, then select a tag-based service. 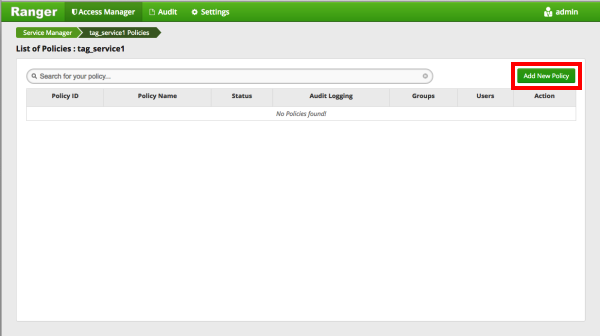 On the List of Policies page, click Add New Policy. 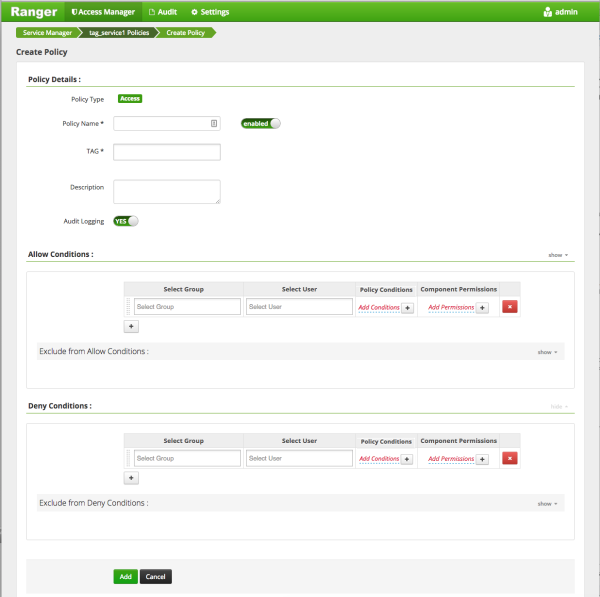 Policy Type Set to Access by default. Description Restrict access to resources with the PII tag. In this example we used Allow Conditions to grant access to the "audit" group, and then used Deny Conditions to deny access to the "public" group. Because the "public" group includes all users, we then used Exclude from Deny Conditions to exclude the "audit" group, in effect reinstating the "audit" group's original Allow access condition. Click Add to add the new policy.